http://www.line-stickers.com/ – Animated Well-kun, Nesu-chan & Hapia-chan Line Sticker | The rising stars of drugstore Wellness have made their appearance as animated stickers! Express yourself perfectly with the flashy moves of Well-kun, Nesu-chan, and Hapia-chan! 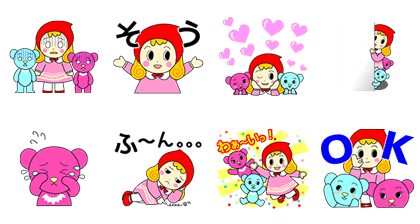 Friend Tsuruha Groupʹs official account to get a total of 8 stickers! Available till February 16, 2015.